The Market Research Business Analyst is the person who determines which goods and services in demand and what will be the best rate or price to charge these products. These analysts are also responsible for presenting various survey findings to their clients and also keeps track of client industry trends and other marketing trends. The Market Research Business Analyst test is designed to assess the candidates in the area of business, marketing, economics, statistics, analytical thinking, requirement analysis, etc. This test consists of meaningful questions on primary and secondary data, market research, requirement analysis, SPSS, statistics, and analytical thinking. The business analyst market research test enables employers and recruiters to identify potential hires by evaluating working skills and job readiness. For this reason, the emphasis is laid upon evaluating the knowledge of applied skills gained through real work experience, rather than theoretical knowledge. Using powerful reporting, you will have a detailed analysis of test results to help you make better decisions and predict candidate and employee success. Q 1. You are a Business Analyst at BD Bank. You are involved in a software project that is replacing an out-dated, inefficient legacy system (System X) with an efficient, process-driven web-based solution. However, the project team is facing a few challenges. 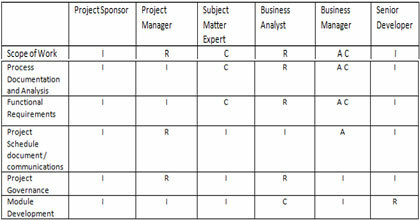 The project has requested a detailed stakeholder matrix. You have documented the stakeholder matrix in the RACI format. The stakeholder matrix identifies several key stakeholders. Responsible - Those who do the work to achieve the task. Consulted - Required to provide feedback on documents / in workshops. Informed - Kept up to date on progress. The Subject Matter Expert (SME) is identified as “Consulted” for the Process Documentation and Functional Requirement tasks. Which of the following options contradicts the expectation of the SME in the process documentation workshop?